Job loss is not something anyone ever wants to have to face. However, it's a fact of life that becomes all too real for many people. There are several different types of unemployment. Many different situations can lead to the loss of a job, including termination due to performance problems or misconduct, reductions in workforce, company closings, and many other situations. If you lose your job, it's important to take steps to deal with the situation right away. Depending on the reasons why you are without a job, you may need to learn how to file for unemployment. You'll also may need to find out about the laws about getting fired. Sometimes losing one job opens the door to new career opportunities. 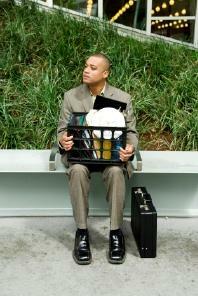 Following a job loss, you'll need to seek new employment. That may involve looking for a similar position to the one you just loss, or training for a different career. Either way, you'll need to put together a new resume and list of [Job Reference|job references]], and apply for open positions. To prepare for job interviews, you'll want to learn how to respond to behavioral interview questions. Visit Love To Know Jobs when you need to learn more about dealing with job loss. The LTK writing team is dedicated to providing readers with valuable information that can help make the transition from unemployment - expected or unexpected - to a rewarding new career. New articles are added every week, so check the site often for new tips and information.